NEW! 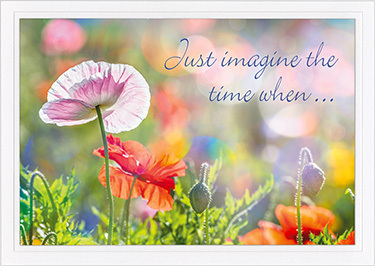 FRONT: Just imagine the time when ... 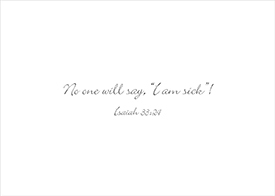 INSIDE: No one will say, "I am sick"! Isaiah 33:24. An attractive embossed white border nicely frames the high-gloss UV coated picture on the front. Size: 5" x 7" folded.